Components of the FTCE or Florida Teacher Certification Examinations such as the Middle Grades Social Science 5-9, have been offered since 1980. These exams are required by the state of Florida to receive certification as a licensed teacher in a certain area. This exam certifies that those who take it have the knowledge base, skills, and experience required to teach Social Sciences in grades 5-9. All candidates seeking to take any part of the FTCE will need to register online and pay a registration fee. once your application has bee submitted, the Bureau of Educator Certification will review it and determine if there are certain requirements you will need to meet to be eligible at that time. You will receive a notification regarding these requirements and the steps you can take to meet those. if you are found to be eligible, you will be allowed to schedule an exam. There is a registration fee of $200 and $220 for re-takes. The FTCE and all of its components are taken through Pearson VUE at one of their many locations throughout the U.S. and the state of Florida. There are several international sites as well. Exams can be scheduled year-round Monday through Saturday with the exception of holidays by appointment. A complete list of dates, times, and locations will be made available to you during registration. You should plan to be at the testing center of your choosing no later than 30 minutes before your scheduled exam. This will make sure that you have enough time to sign in and register at that location. Those who arrive late will not be allowed to test that day and will be required to reschedule. It is very important you bring at least two forms of current and valid personal identification with you on the day of your exam. Your primary form will need to have your full name that matches your registration information, your signature, and a recent and recognizable photo. Your secondary form of ID must contain your full name and your signature. The FTCE is taken via a computer. As a computer-based test or CBT, you will not need to bring any other personal items with you to the testing site. This includes calculators, pencils, any study material, and electronic devices. These items are not allowed in the testing area and will be kept in a designated locker until the exam is complete. The FTCE Middle Grades Social Science exam is made up of 120 multiple choice questions. You are given to two hours and 30 minutes to complete it. Immediately following your exam, you will receive your unofficial pass/fail status. Your official score report will be made available to you within four weeks of your scheduled exam. This will include your pass/fail status and percentage breakdown of your performance in each area of the exam. You must receive at least a 61% or a scaled score of 200 to be considered passing. The best way to study for this FTCE is to utilize study materials made specifically for this exam. 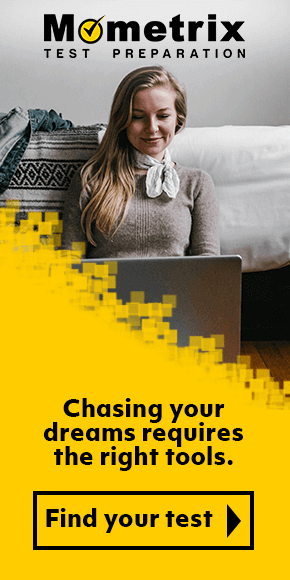 Mometrix has just the thing for you. 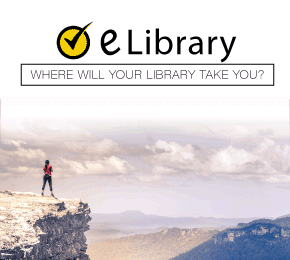 We have prepared a study guide, flash cards, and sample questions to help make the most out of this testing experience for you. These are made with all need to know relevant information. The sample questions are constructed to mimic those you will see on the actual exam. With these tools, you will understand exactly what is to be expected on test day. We know the passing of this exam is a must for your teaching career. That is why we want to help. Mometrix Academy is a completely free resource provided by Mometrix Test Preparation. 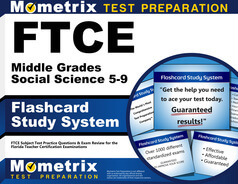 If you find benefit from our efforts here, check out our premium quality FTCE Middle Grades Social Science 5-9 study guide to take your studying to the next level. 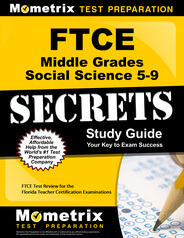 Just click the FTCE Middle Grades Social Science 5-9 study guide link below. Your purchase also helps us make even more great, free content for test-takers.